We’re Your Apex HVAC Specialists. We know how uncomfortable it can be when your home HVAC system isn’t working. At Progressive Service Company, our Apex HVAC specialists are committed to your comfort, and offer prompt, reliable service to fix your heating and cooling issues as soon as they arise. 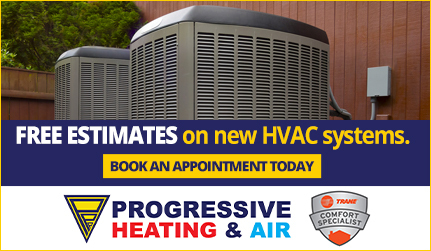 For decades, Progressive has proudly been your hometown team for all of your Apex HVAC needs. Our technicians are experienced in HVAC installations and repairs. We guarantee 100% satisfaction with 24/7 emergency service for help when you need it most. 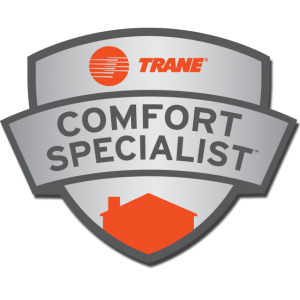 Progressive Service Company is proud to be a certified Trane Comfort Specialist in Apex. Being a certified Trane Comfort Specialist means that our Apex HVAC experts stay up-to-date on the latest installation and repair techniques. So no matter what kind of system you have, Progressive can fix it. 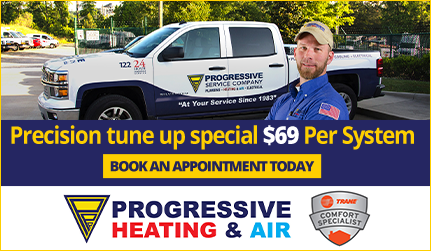 As the HVAC installation and repair techniques improve, our service technicians have the training so that every single customer gets the quality service they expect and deserve from Progressive Service Company. If you live in Apex and your heating or air conditioning needs installed, repaired, or inspected, call the expert technicians at Progressive Service Company. With more than 80 fully equipped service vehicles, we’ll get a technician to your house fast. 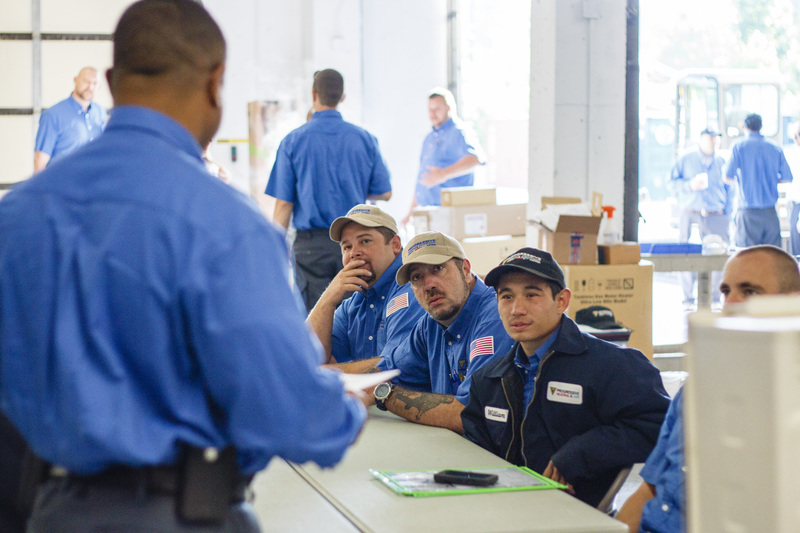 We make sure all of our technicians go through the proper training so that you’re getting the best HVAC service possible. We gladly offer expert repair on all system brands, including Trane, Carrier, and more. When your heating system or cooling system breaks, it can make miserable circumstances at your home. 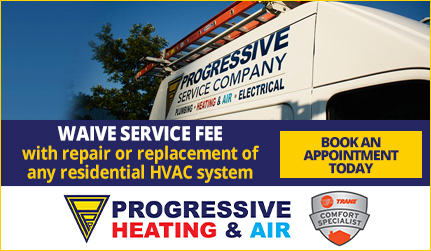 Progressive will get a qualified service technician there fast to repair your HVAC system. Even with routine maintenance, unexpected repairs are needed to your heating and air conditioning system. Our Apex HVAC specialists can repair any system. With 24/7 emergency service, you’ll never have to be uncomfortable for long. In order to keep your heating and air conditioning system working, and maintaining a comfortable environment at home, it’s important to make sure your HVAC system foes through routine maintenance. Neglecting regular maintenance can mean a system breakdown when you need your system most. Our experienced HVAC technicians in Apex provide HVAC maintenance to keep your system in the best working condition so you can avoid unexpected repairs and uncomfortable conditions. When you’re at home, you’re counting on your family to be safe. But your air could be exposing your family to different pollutants and carcinogens that you can’t see. Progressive can help you. There are a number different ways to improve the indoor air quality of your home. Our Apex air quality technicians can offer you solutions to eliminate the mold, allergens, and viruses that come from your indoor air. See why homeowners in Apex and across the Triangle turn to Progressive for all of their residential heating and cooling needs. We offer free estimates on installing new residential HVAC systems. We also offer flat-rate repair pricing with no surprises. To make sure your HVAC system is always working, our Apex HVAC technicians are available 24/7 to provide emergency service. Call Progressive now. An experienced residential air conditioning specialist will be on the job in no time to give you the quality service you expect from the leader in Apex home HVAC repair!